“If you believe in heaven above and you believe in love….Send me an angel, send me an angel- right now”. The lyrics of the song spoke then about am angel with respect to someone who would be there to love and look after. But the angels that one speaks about through Angel Cards are very different angels. They are in the literal sense ‘angels’ from the other realm beyond. The Angel Cards make it possible for mankind to connect, relate and communicate with angels. Imagine talking about angels in such a casual manner years ago? Not possible at all. But then we never thought we walk on the moon as well. Angel cards serve to be the bridge between our world and the world of the angels. 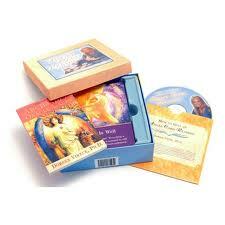 The person who is able to access that bridge through a pack of angel cards is termed as the angel card reader. The angel card reader has a pack of cards wherein each card has the name of a particular angel and a message or a trait or a brief quote that is related to that particular angel. During the reading, the various angel cards that fall at different locations in the spread are taken to be those angels how are giving a message. For e.g. A pregnant woman asking about her unborn baby gets a card with the name of an angel who specially looks after new born babies or pregnant women, then it is clear that the woman and child are both being looked after and there is nothing that the woman should worry about. 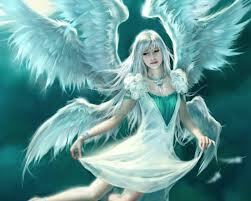 Angels have powerful but soft and gentle energy at times. Thinking of angels will bring a sweet smile on one’s face and a feeling of warmth and being hugged and loved. This is the power of angels. They make people feel loved, cared for and special. At the time of an angel reading, the reader and the person asking the question both will be connected to angels. Once a reading is done, the bond is developed. It is up to the person to keep this bond alive. Questions about relationships, is this the right person, shift of residence, change of job, marriage etc, can be asked. The angels will always answer the most difficult questions as well. The angels are aware that humans tend to get scared very quickly and therefore will convey the worse news in the gentlest possible way. Even the most disturbed, troubled and upset people who come to do readings will feel much better by the time the reading has been completed. Angels send their energy and love to heal situations which have no hope left be it in the case of relationships or loved ones. They serve to protect those who are totally vulnerable and have no one to look after them and care for them. They will reach out to give messages pertaining to healing and will improve health of the person. Messages received during the reading serve to be those angels connecting to the reader. Readers request people to continue remembering some specific angels even after the reading is over so that these angels can continue to guide and offer assistance all the time. Angels are very easy to connect to as well. If one wishes to connect to an angel with a strong intention and from within, then that angel will reach out to that person. An angel card reading will help to find guidance, help, divine intervention, protection and a sense of direction. The cards will nudge and lead people to take the path best for them giving them minimum discomfort. Gabriel and Micheal are the most well known angels. The angel cards will bring so many other angels into your family to provide you with love, protection and guidance at all times.